Jemma Byrne is a Level 3 qualified Beauty Therapist with exceptional qualifications such as different varieties of massages from relaxing to deep tissue routines, Facials (also electrical), Manicure and Pedicure, all body waxing and much more. After Jemma started In her first job back in England as a Therapist team leader and then progressing to a Salon Manager, she decided to move away and continue her job in the sun. Jemma has already worked 4 summer seasons away from home and travels in her own time visiting places such as Thailand, Singapore and Bali. Now it’s time for Jemma’s second with Massage beach! 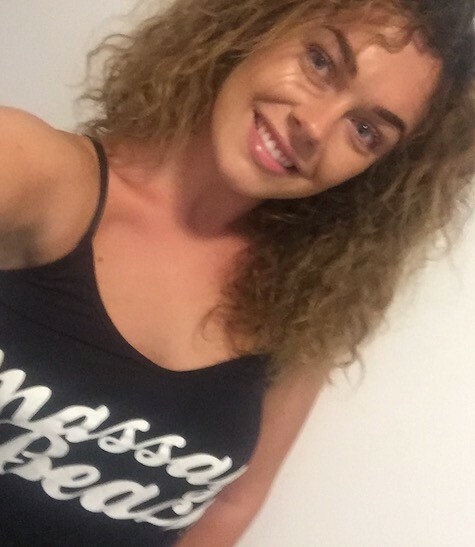 She joined massage beach to have the freedom of meeting different people everyday and exploring the island and embracing different surroundings whilst doing the job she loves. Jemma thrives to give her clients a amazing experience and treatments that they will never forget! 01 Oct 2018 5.00 out of 5 Jemma was super nice, and I really enjoyed the massage. Would recommend to give it a try, she is awesome! 21 Sep 2018 5.00 out of 5 Had a wonderful deep tissue massage with Jemma today, one of the best I've ever had! Cherry on top of a great holiday. 02 Sep 2018 5.00 out of 5 Jemma was absolutely outstanding!!! Best massage I have EVER had in Europe. 31 Aug 2018 5.00 out of 5 A thoroughly enjoyable experience & Jemma was excellent in all aspects of her approach to me but also customers who approached whilst carrying out the massage. Thank you Jemma & plan to be back before I go home but also with My partner Mark too who will benefit immensely! 24 Aug 2018 4.20 out of 5 If i had enough money, i would visit and enjoy the massage every day. I felt very good during and after treatment. Nice work. 17 Aug 2018 5.00 out of 5 Jemma is a credit to massage beach family. Wish I could have taken her home with me. Fantastic therapist. 14 Aug 2018 5.00 out of 5 10/10 massage. 13 Aug 2018 5.00 out of 5 Great massage will definitely be coming back for a massage!!! 10 Aug 2018 5.00 out of 5 AMAZING! 20 Jul 2018 4.00 out of 5 Enjoyed it! 20 Jul 2018 5.00 out of 5 Jemma is great!! Amazing massage, thank you!